Taste Bland, like a cross between a carrot and a potato. 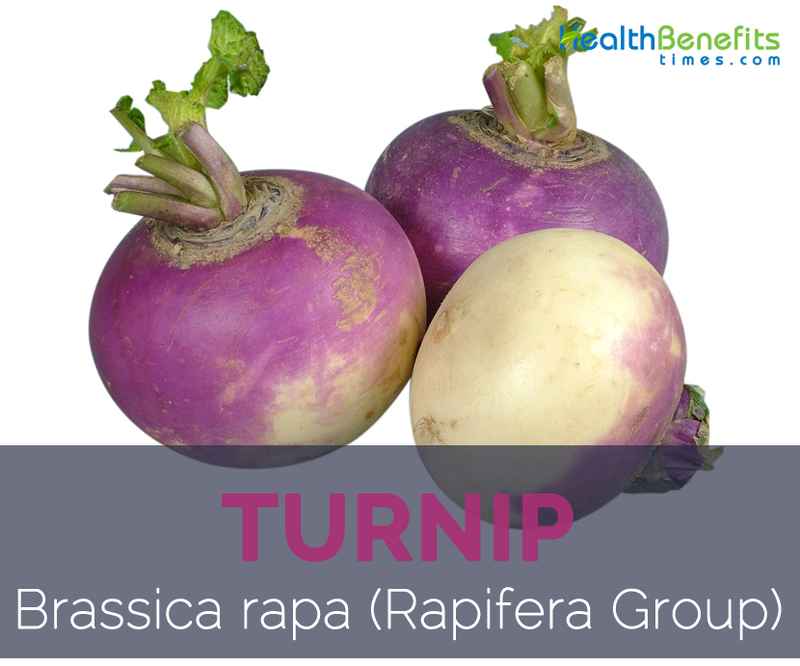 Scientifically known as Brassica rapa, turnip is a white-skinned root vegetable from the Brassicaceae family that has become globally popular both for human consumption and livestock feed. 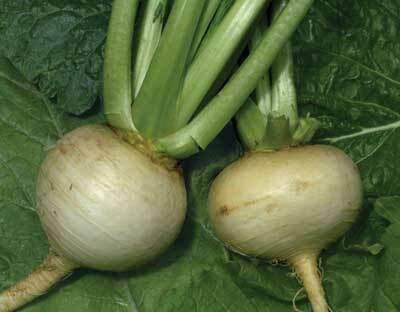 Native to northern Europe, turnip was a staple of ancient Greek and Roman diets. They are commonly grown in temperate areas across the globe, and are cultivated for the nutritional value and taste of the root. 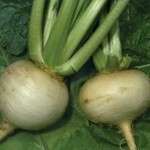 Some common names of turnip include Fodder Turnip, Italian Kale, Rapini, Seven Top Turnip, Stubble Turnip and White Turnip. 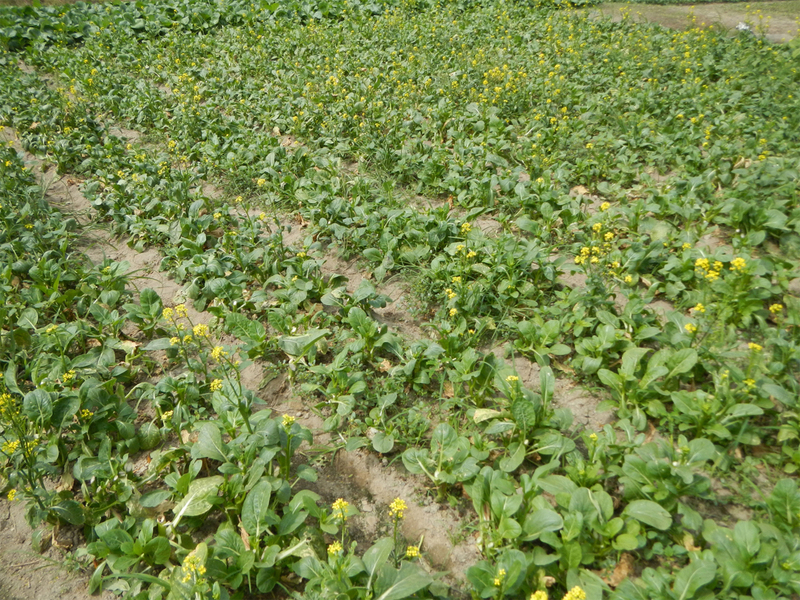 Turnip greens are also consumed in some parts of the world as a cruciferous vegetable, and there is a somewhat different nutrient profile between the leaves and the root. 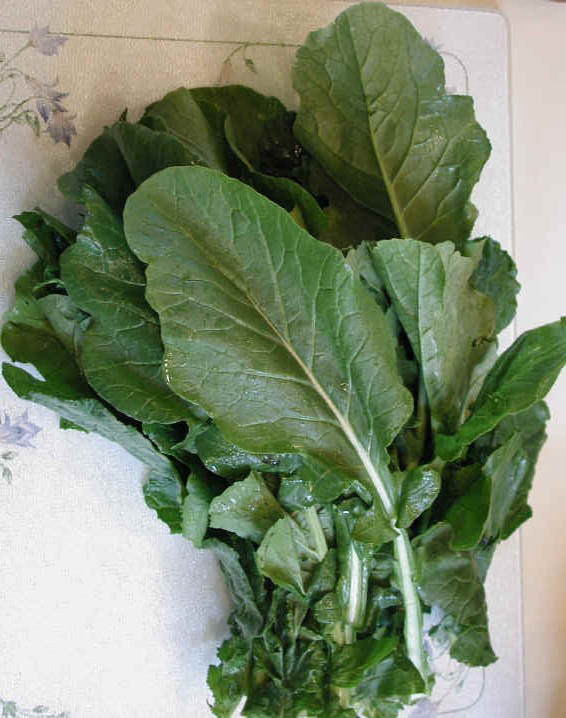 Leaves, however, are often bitter and must be boiled down to be palatable, much like mustard greens. 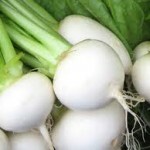 There are 30 domesticated varieties of turnip that can be found around the world few of the popular varieties are Purple Top Milan Turnip, Manchester Market Turnip, Tokyo Turnip, Golden Ball Turnip, Snow Ball Turnip, Green Globe Turnip, Tokyo Cross Hybrid Turnip, Shogoin or Japanese Turnip, All White Turnips, Baby Turnips, Brassica rapa Turnip, Orange Jelly Turnip or Golden Ball Turnip, Amber Globe Turnip and White Egg Turnip. 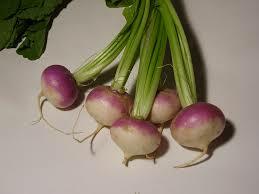 Turnip is a type of root vegetables that belongs to the mustard family. It is a biennial herbaceous plant growing up to 1 m high. Normally it is a cool season crop, good best in full sun and prefers moderately deep, highly fertile, friable loamy soil. Plant has a thin tap root about 10 cm long. Basal leaves rarely up to 10, obscurely rosulate; lamina lyrately pinnatifid or rarely sinuate-dentate, glabrous and green on slender fleshy petioles, petiole slender whereas upper leaves are sessile, subentire, oblong lanceolate and often constricted above the base. 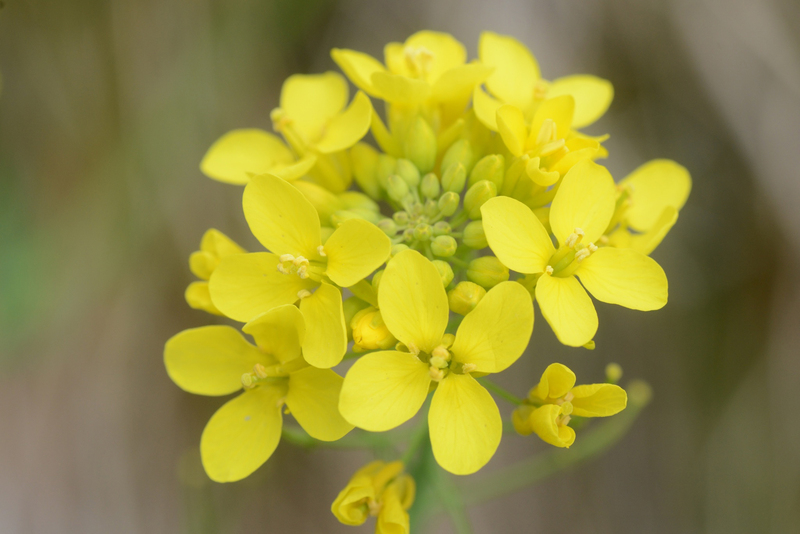 Flower is bisexual, regular, 4-merous; pedicel up to 3 cm long, ascending; sepals 5–8 mm long, spreading, yellow-green; petals obovate, 0.5–1 cm long, clawed, bright yellow colored. 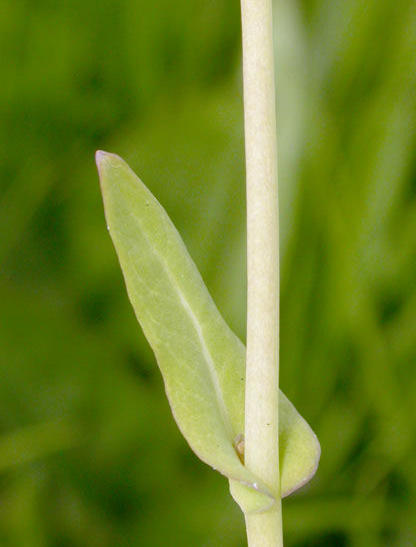 Branches originate in the axils of the highest leaves on the stem, and each terminates in an inflorescence. 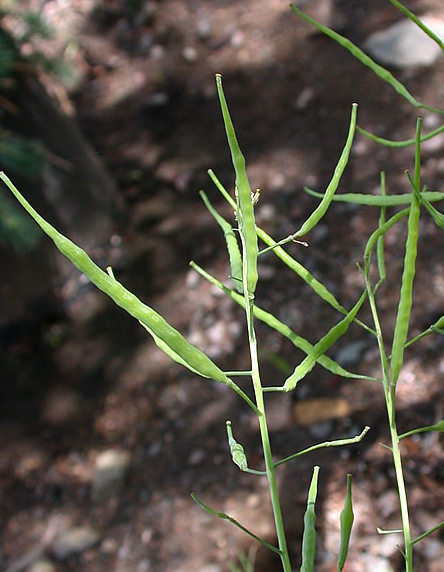 Later they produce linear silique 4–10 cm by 2–4 mm pods with a tapering beak, dehiscent, up to 30 seeded. Seeds are globose, 1–1.5 mm in diameter, finely reticulate and dark brown. 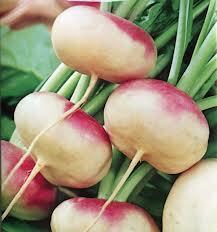 Turnip is a type of root vegetables that was created through the process of selective breeding of wild turnip. It’s white at the bottom with a light purple blush around the top, which appears when the plant has been exposed to sunlight. Turnip is normally fleshy, apple-sized root vegetable, napiform or globose, 5–20 cm diameter and bulb is purple, red, greenish or white colored. 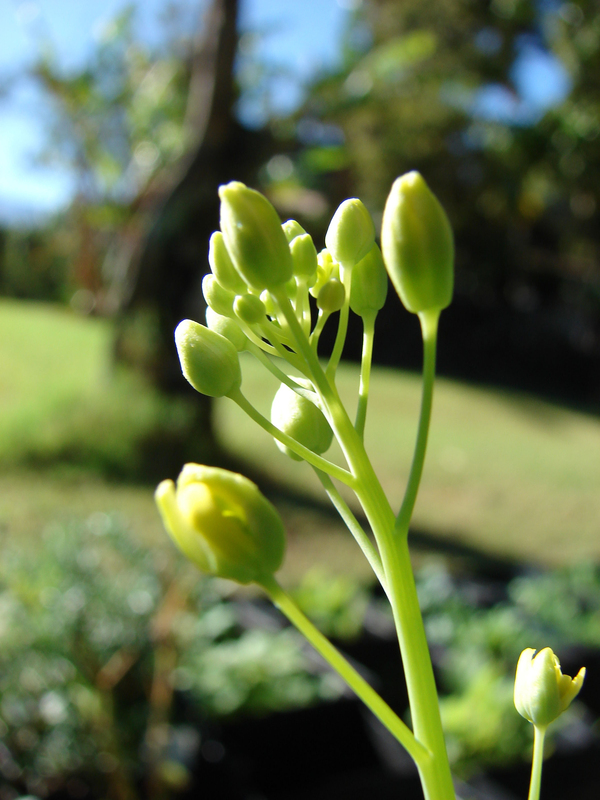 They have got a yellow or white-colored fleshy part with a green stalk. Both fleshy part and also the turnip greens are passable. There is a slightly different nutrient profile between the leaves and the root. Leaves, however, are often bitter and must be boiled down to be palatable, much like mustard greens. Root part of the vegetable is commonly boiled or eaten raw, and has been known as an important part of the human diet for the better part of two thousand years. 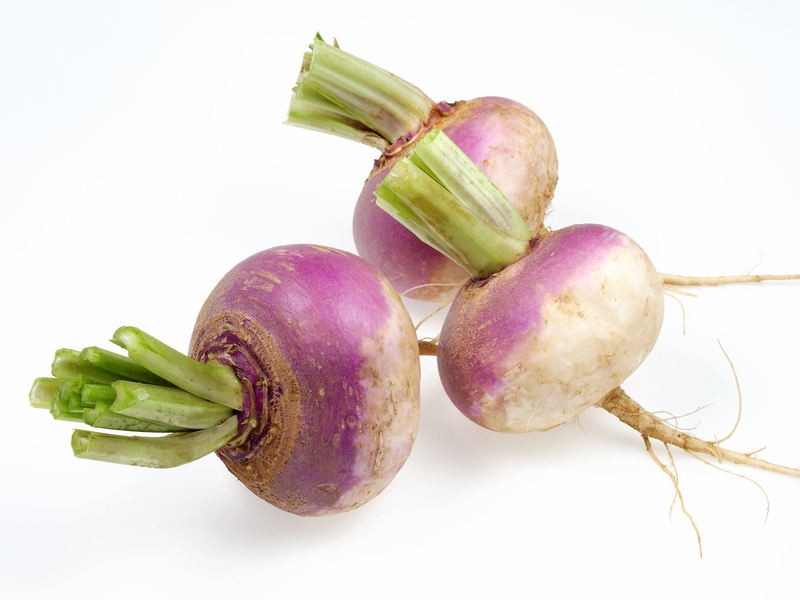 Turnips have got a pungent flavor as well as bland taste, like a cross between a carrot and a potato. Smaller turnips are recognized to have got a more gratifying taste. It is best to choose turnips having a smooth consistency without spots. 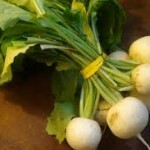 Young turnips are crisp and sweet, perfect snack for small mouths. Large mature turnips develop a tough skin and a stronger flavor which makes them more suitable for soups, stews, and mashing. Apart from that more mature turnips are thought as animal feed. Turnips are considered to have originated from Europe, Russia, Central Asia and the Near East, with Europe recommended as one center of origin. Turnip has been used as a vegetable for human consumption in Europe since prehistoric times; it was reported as a well-established crop in Roman and Hellenistic times. Nowadays it is grown nearly all over the world and has also been introduced to tropical countries, where it is grown at higher altitudes. 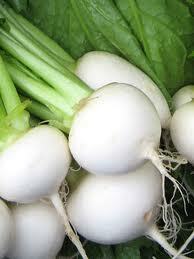 Apart from their pungent flavor as well as bland taste, turnip is a good source of nutrients, vitamins and minerals. Consuming 130 gram of turnips offers 27.3 mg of Vitamin C, 0.11 mg of Copper, 0.117 mg of Vitamin B6, 0.174 mg of Manganese and 8.36 g of Carbohydrate. Moreover many Amino acids 0.012 g of Tryptophan, 0.032 g of Threonine, 0.047 g of Isoleucine, 0.043 g of Leucine and 0.047 g of Lysine are also found in 130 gram of Turnips. 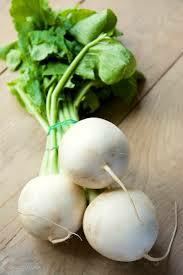 Turnip is a wonderful source of vitamin C. Consuming one medium turnip provides 30.33% of daily vitamin C needs. High fiber diets have been shown to decrease the occurrence in flare-ups of diverticulitis by absorbing water in the colon and making bowel movements easier to pass. Eating a healthful, fruit and vegetable and fiber-filled diet help to reduce pressure and inflammation in the colon. One cup of cooked turnips provides 4 grams of fiber. Even though the cause of diverticular disease is still unknown, it has been frequently linked with a low fiber diet. Turnips consist of large quantities of Vitamin C, and ascorbic acid is one of the most important boosters for our immune system. Vitamin C helps to stimulate the production of white blood cells and antibodies, in addition to acting as an antioxidant and decreasing chronic health concerns like cancer and heart disease. Sufficient vitamin C consumption has been shown to keep eyes healthy by providing increased protection against UV light damage. Citrus fruits are often supposed of first when it comes to increasing vitamin C intake, but many cruciferous vegetables are also amazingly high in this important nutrient. 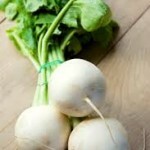 Consuming just two medium turnips would meet your vitamin C needs for the entire day. A higher intake of all fruits and vegetables has been shown to decrease the risk of and progression of age-related macular degeneration. Edible parts of turnips are consumed as a raw, boiled and/or fermented vegetable. 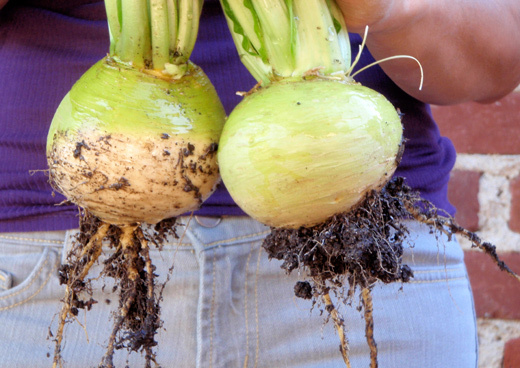 Turnip roots are consumed raw, pickled, braised, pureed or used in soups, stews, casseroles, etc. Bread is occasionally made from turnip with added wheat flour. Small turnips are specialty varieties and can be eaten whole, including their leaves. Leaves are eaten as “turnip greens”, and they resemble mustard greens in flavor. Cooked leaves make an acceptable vegetable, though they are coarser than the related cabbage. Young leaves can also be included in small quantities to salads, they have a somewhat hot cabbage-like flavor and some people find them indigestible. 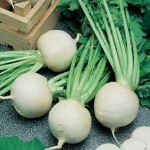 Turnips are fermented and used in Kimchee in Korea. A popular side dish, called Brovada, is made of shredded turnip marinated in red grape pomace in Friuli region of Italy. 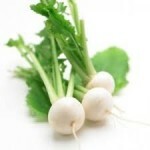 Turnips are used in variety of dishes, most notably shab-daig in the Punjab and Kashmir regions of India and Pakistan. Raw shredded turnip-root is served in a chilled remoulade in the absence of other fresh greens as a winter salad in Tyrolean Alps of Austria. Turnips are pickled in Middle Eastern countries such as Lebanon. Pickled turnips are also popular and are sometimes stir fried with salt/soysauce in Japan. Decoction of turnip leaves or stems is used in the treatment of cancer. Root boiled with lard is used to treat breast cancer. Powdered seed is used as folk remedy for cancer. Slave derived from the flowers is used for skin cancer. Crushed ripe seeds are used as a poultice on burns. 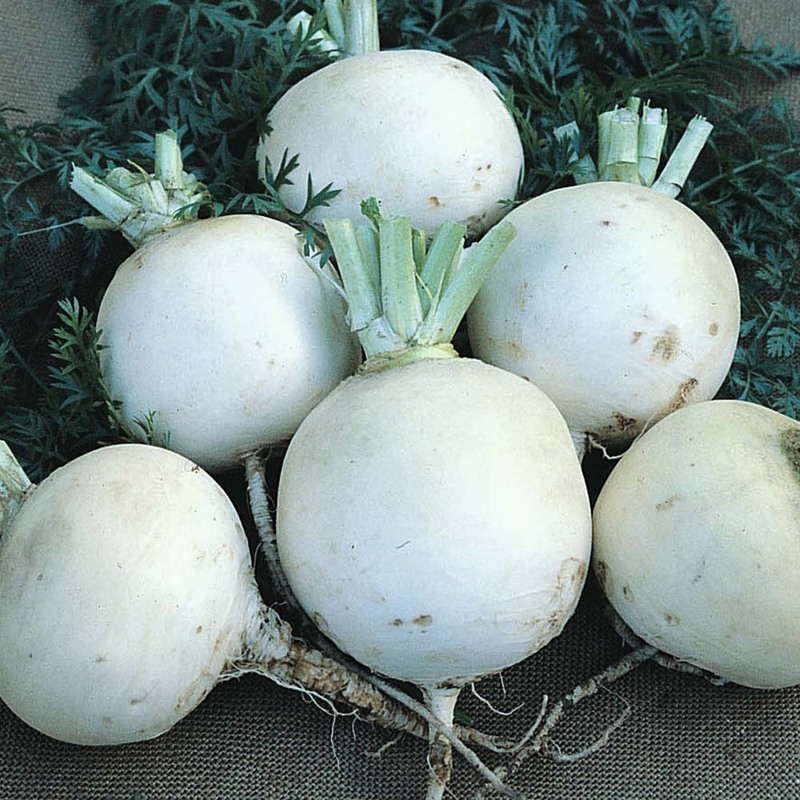 Turnip has been used as a diuretic, digestive and curative for jaundice, etc in Ganghwa Island, Korea. Boiled turnip-roots (with salt) are a common household remedy for cough and cold in Iran. 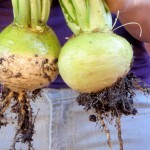 Turnip root has been a popular livestock fodder and fodder crops for ruminants. Turnip root peelings contain a natural insecticide. Chopped roots can be brewed into a tea with flaked soap; this is then strained before use against aphids, red spider mites and flies. Turnip juice is actually effective in warding off body odor. Turnip can help mend cracked and torn skin on your feet. Purple Top Milan is really a traditional Italian heirloom variety; launched just before 1888 it’s still extremely popular. Remarkably decorative, it’s got smooth creamy-white flat roots along with vibrant purple shoulders as well as pure white flesh of choice quality. A strap-leaved variety, fast to mature as well as earlier cropping, it’s an excellent ‘catch crop’ in between slower growing veggies. The very delicious, fairly sweet as well as moderate flesh is fine-grained, crisp as well as delicious. The roots could be consumed fresh or even cooked just like potatoes: roasted, boiled or mashed. Long a well-known soul food, turnip greens are somewhat sweet whenever young. They’re a lot more nourishing compared to the roots and therefore are undoubtedly one of best flavors within the greens category. This seed is naturally created (seed harvested from plants which have themselves been elevated organically, without using chemical compounds). Globe designed white-colored roots along with solid yet soft green crown. Best pulled at tennis ball size once the white flesh will probably be solid however soft. Best sown in July, sowings in August to early September can give smaller roots as well as a flush of nourishing ‘greens’. Outstanding in stews as well as casseroles. Leaves from later sowings steamed as healthy ‘greens’. Easy and simple. These types of turnips don’t require a lot of tarting up, as well as their taste is more gratifying and fewer powerful compared to their purple topped relatives. Additionally, if they’re smaller sized, there exists a good possibility they won’t even have to be peeled. Introduced just before 1859 but still going robust! This really is one turnip you would like your garden because of its properly shaped 3-4″ amber globes. 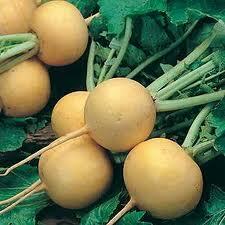 Gold Ball is fine grained, smooth, meaty and never woody just like other turnips may be. A best storage turnip for the root cellar. 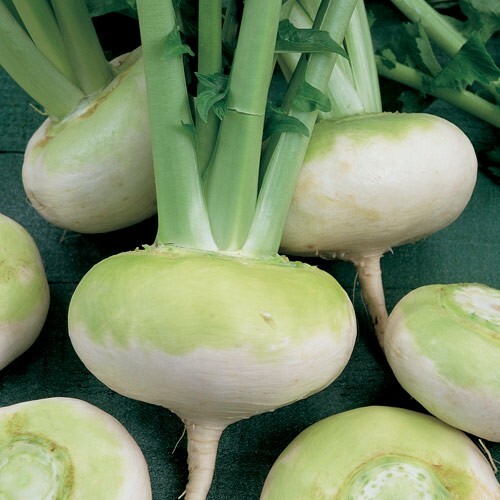 Turnip ‘Snowball’ is an extremely well-known first-class, globe variety along with solid flesh plus a succulent, fairly sweet, moderate flavor. It is really an heirloom turnip which was introduced just before 1885. Pure white flesh since its title indicates. Snowball is advisable gathered when no bigger than a tennis ball and may be also appreciated whenever much smaller. The Snowball is excellent both for table as well as exhibition. They are a quick crop, being ready in only 5 to 8 weeks from sowing It’ll deliver an excellent supply from earlier summer to early winter, and also the tops help make most nourishing and tasty greens. The large woody turnips of old have mostly been substituted with smaller white varieties which are scrumptious grated raw in a salad or even like a welcome side dish, leaving the swedes to take in the stew department! A standard white-fleshed variety very best utilized before Christmas. Green Globe will certainly create globe shaped roots with higher anchorage and is also ideal for grazing by all kinds of animals. Green Globe Purple-Top White Globe (55 days)Typically the most popular variety amongst backyard gardeners. The roots grow 4 to 5 inches across and appear much like their title, along with white bottoms as well as vibrant purplish-red upper portions. The roots flavor best if drawn at 2 to 3 inches. Tokyo Cross is surely an award-winning crossbreed turnip. 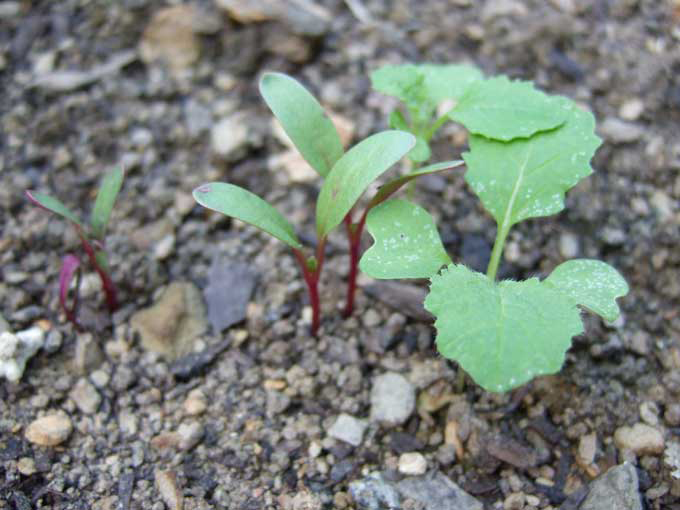 This particular fast-growing veggie develops 35 days right after planting. 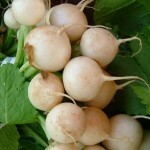 The high quality turnip could be collected at any time throughout growth, for small to medium size roots. Flesh is extremely smooth and also sweet. Plants are ideal for growing from spring through fall. This particular variety is utilized both for its tops as well as roots. The greens could be collected at approximately 30 days and the roots at approximately seventy days. The greens reach twelve to fifteen inches tall. The roots are in the shape of a wooden top, pure white, 2 to 4 inches in diameter and extremely soft and mild tasting. Thrives in hot dry weather. Turnips along with white flesh as well as skin produce a impressive presentation whenever organized on the vegetable plate with additional brightly-colored produce. Tokyo Cross as well as White Lady varieties have got pure white flesh as well as skin. While Tokyo Cross has got the common spicy turnip taste, White Lady features a sweet taste. White Knight also offers a fascinating, squashed oblong shape rather than the regular spherical globe on most turnips. A baby turnip is really a specialized kind of turnip and also this is not actually an alternative variety. This is just where the turnips are collected just before they’ve got opportunity to grow to the larger size. 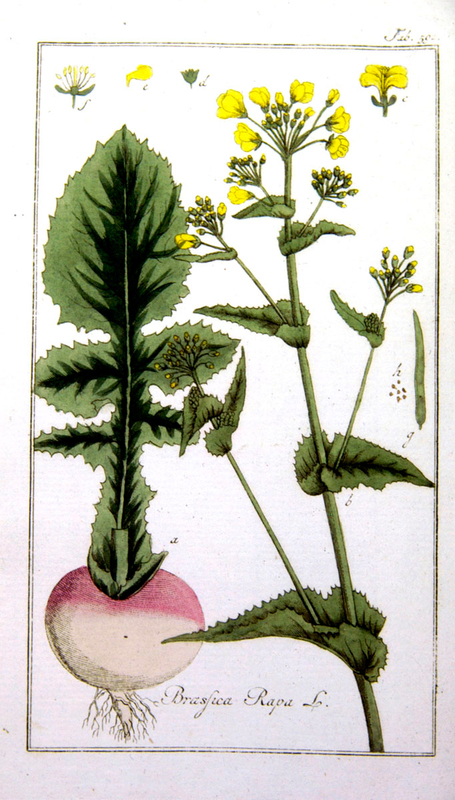 The Gardener’s Magazine (1835, 40) reported that this turnip had recently been launched from France as navet rouge plat hatif. It seemed within the Album Vilmorin (1852, 3) since the Early Flat Red Top, and appeared again within the Album Vilmorin (1884, 35) as by which we now know it. For several years, as the title of the variety wasn’t settled, it absolutely was frequently referred to as possibly red or purple. It is certainly one of the best turnips due to its impressive design. The turnip is incredibly flat, smooth skinned, as well as well adapted to chopping. 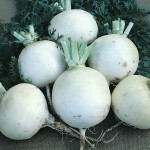 The turnip rests over the ground just like a kohlrabi, the shaded part white, the part most subjected to the sun an abundant violet. Additionally it is among the first turnips arrive at harvest. If planted at the start of the spring, it is prepared to pull after June. In case the weather conditions are hot and dry, this particular turnip needs to be grown in late summer since it may develop a powerful mustard taste in case the heat is extreme. This particular good looking turnip was portrayed within the Album Vilmorin (1870, 21), having appeared earlier within the Album Vilmorin (1854, 5) as Robertson’s Golden Ball. Charlwood & Cummins, London seedsmen, presented seed for twenty-six turnip types towards the United States Patent Office in 1855, among them Robertson’s Golden Ball. This particular seed was given to American farmers for trial around the nation. J. M. Thorburn & Company of New York continued to transport all twenty-six varieties for quite some time, however of these, only Robertson’s continues to be accessible. The turnip just isn’t truly orange, even though the color may vary significantly because of soil. The flesh is yellow and also the taste distinctive. There’s an unpredicted as well as enjoyable aftertaste of bitter almond, extremely sweet and also mild. It is usually one of the very best of all the cookery turnips and is also superb whenever combined with carrots. This particular variety can also be known as Yellow Globe in old horticultural books and was portrayed within the Album Vilmorin (1853, 3); hence color documentation is firm. It absolutely was “introduced” in England in 1840 since the Yellow Dutch turnip, however the Gardener’s Magazine (1840, 104) wasn’t fooled. Loudon, the editor, noted which the turnip was “nothing a lot more than the yellow turnip, the seed of which, having previously been mainly acquired from Holland, therefore obtained the naming of Dutch. It really is little grown in England in gardens, yet much prestigious as well as usually grown in Scotland.” Americans shared the Scottish passion for this yellow turnip since it was a classic sturdy sort dating a minimum from the 18th century that may be trusted well in the winter. 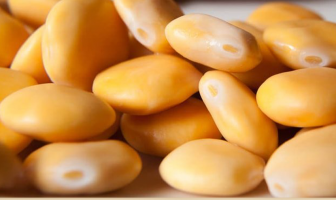 In reality, this particular variety along with a strain known as Large Yellow Scotch Aberdeen might be stored throughout the following March and were significantly appreciated like a source of food whenever other supplies were low. 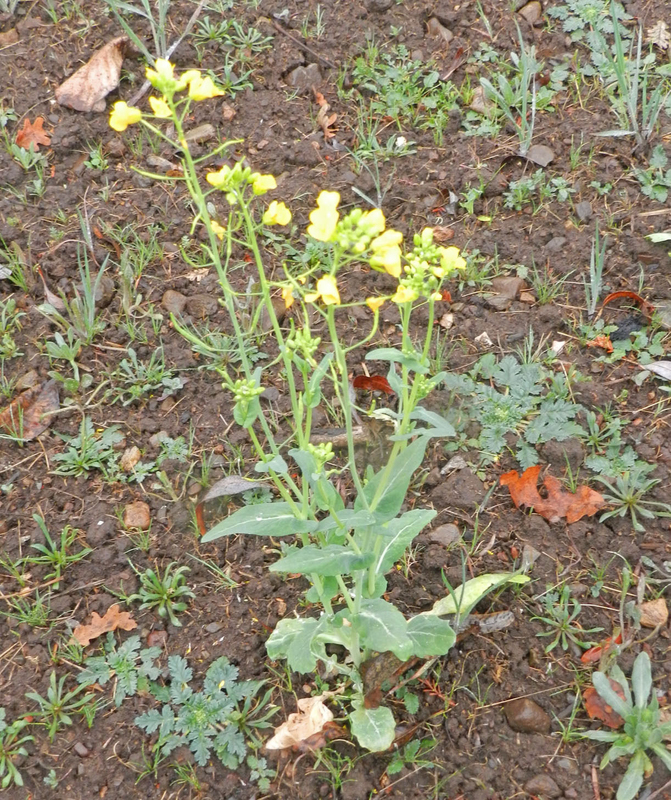 A fall turnip, it had been usually planted about August 1. 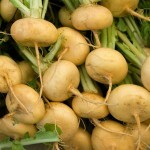 The flesh of the turnip is really yellow-colored or even cream colored. The shoulder of the turnip generally turns green exactly where it is subjected to sunshine. The taste is stinky, as well as all the turnips, this particular one is most prone to worm damage. 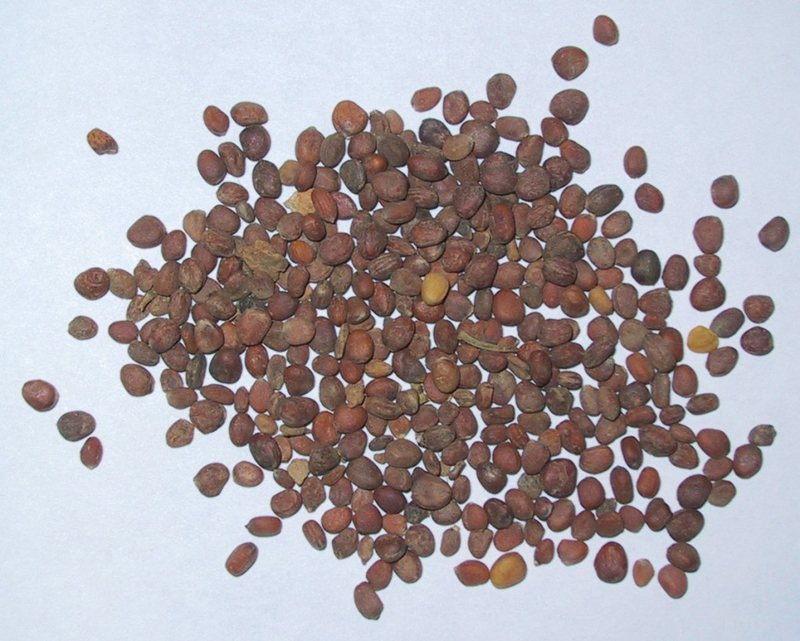 For the best outcomes grow this particular variety on ground formerly cultivated with cowpeas. This can lessen the trouble with nematodes and other alike pests. Boston seeds man John B. Russell sold seed in 1828 for the turnip known as Swan’s Egg, that seems to be the immediate predecessor of White Egg. In reality, according to old explanations, the two are basically the same. It is just a fall variety which stayed well-known through the 19th century due to its keeping features. True to its title, the turnip is equally egg shaped as well as white, usually about the size of a goose egg. The flesh is snowy white, sensitive, and incredibly succulent, since there appears to be a greater water content within this turnip compared to a number of other types. The taste is nearly sweet, and thus mild that the turnip could be consumed raw, at least when fresh from the garden. In storage, the taste worsens. Common sense says that voles ruin the very best things first, and something relating to this turnip causes it to be incredibly appealing to them. Voles will seek it out even if other turnip types are nearby. Their fondness for this you can be turned to the gardener’s advantage, since culls make superb lure for vole traps. Search for vibrant colored turnips along with creamy looking bulbs along with a violet-hued ring round the tops. 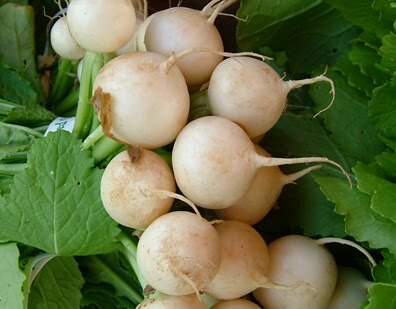 Baby turnips might not have developed their violet tops and may even seem like relatively big white spring radishes. In fall and spring, search for turnips using their greens attached with make sure these were freshly collected. In the winter months, turnips can come from storage as well as their leaves may have been eliminated. In any event, you would like firm turnips without spots that really feel heavy because of their size. 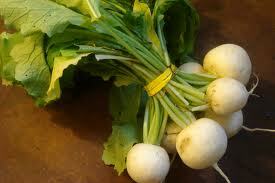 If you purchase turnips using their greens attached, eliminate the greens when you are getting them home. Thoroughly clean, store, as well as cook the greens as any cooking green. Keep turnips freely covered with a plastic material bag within the crisper of the fridge or, in case you are lucky enough to get have one, free in the root cellar. Like every root veggie, they need an awesome, dark, dry atmosphere. Turnip tops are extremely nourishing greens and could be consumed in the same manner as kale as well as collards. Soon after washing the greens under cold water as well as slicing them evenly for convenient and also cooking, spread along with some fresh lemon juice as well as allow them to sit for a minimum of Five minutes to release all of their health advantages. Then the healthy steam or even sauté in veggie broth will perform the secret. Whenever prepared effectively, the turnip bulb could be scrumptious too. Make sure not overcook as well as reduce its all-natural crunch as well as texture. 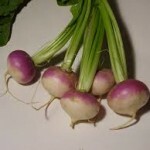 Turnips could be sliced, diced, chopped or even left whole dependent upon their size, and cooked in a myriad of ways. They could even be grated for use in salads or even coleslaws. It’s not essential to peel them until you actually want to; a nice little scrub will do. Then they could be roasted, boiled, sautéed or steamed. An excellent secret to remove the bitterness of the veggie is usually to place a potato alongside your turnips when they are boiling. Are you searching for a soup along with bite? If so, you might want to make a piping hot bowl of turnip, potato as well as chorizo soup. The soup’s bite originates from the spiciness of the chorizo and also the pepper taste of the turnips. The potato and also the chicken stock have a tendency to help mellow out the soup’s bite therefore it is not too extreme. Begin by making a simple turnip as well as potato soup created using chicken stock as well as sauteed onions. As the soup is simmering, slice and also fry the chorizo till it really is crunchy as well as golden brown. As soon as the chorizo is done, combine it with the soup after which serve. Much like green peppers, turnips could be stuffed. I love to my stuff turnips using a combination of crushed turnips, mashed potatoes, pepper jack cheese and bacon. 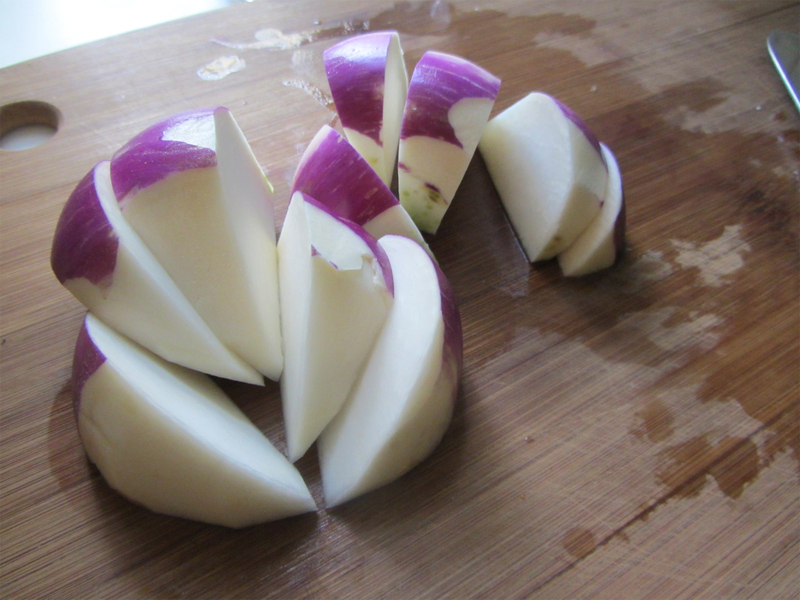 So as to stuff the turnips, you will need to remove the external skin and also scoop out the center. As soon as which is done, put the hollowed out turnips, the turnip pulp and some red skin potatoes in a pot of salted water. Allow it to cook till all the components are soft. While that is due a boil, cook off several slices of slab bacon till they’re nice and crunchy. Then set the bacon aside. Later, eliminate the hollowed out turnips through the sauce pan and let the water to drain out of them. Continue simply by placing the turnip pulp as well as red skin potatoes in a bowl. Mash the turnip pulp as well as potatoes collectively. Once that is carried out, includes some butter, sea salt, pepper, bacon crumbles and shredded pepper jack cheese in the potato and turnip mixture. Proceed by filling the hollowed out turnips with all the combination and also baking them in a 350 degree Fahrenheit oven for 45 minutes. After that eliminate the stuffed turnips through the oven and serve them with the protein of your liking. In my opinion, the salty taste of chipped beef couples effectively using the peppery sweet taste of fresh turnips. I love to quarter the turnips and cover them within the chipped beef. Later on, I’ll dredge the beef coated turnip within flour and dip it in the buttermilk egg wash. After that I’ll coat the turnips along with panko and roast them in a 375 degree Fahrenheit oven till they’re fork soft. For me, turnips also make a fantastic accessory for a crudités platter. While i make a crudités platter which contains uncooked turnip sticks, I love to pair it using a number of dipping sauces. Several dip choices to think about are avocado, ranch, Greek yogurt as well as sour cream. Instead of offering normal French fries together with your next cheeseburger meal, why don’t you create a batch of turnip fries? I’d declare that you coat the turnip fries in the tempura batter before you decide to deep fry them. I believe that it provides an additional crunch to the dish. However, you don’t need to coat the turnips first. They’ll fry up perfectly with no mixture. You are able to serve the fried turnips without or with a dipping sauce. Calories 36 Kcal. Calories from Fat 1.17 Kcal. Calories 34 Kcal. Calories from Fat 1.08 Kcal. Calories 33 Kcal. Calories from Fat 3.33 Kcal.